APP’s Banding Tool (BI-C001) is used to install our ProTek, CryoTek, and AeroTek product lines. It is a compact, portable and easy to use tool with tensioning capabilities of over 2,400 lbs. It has a spring loaded gripper, built in cutting lever, and an epoxy coating for durability. 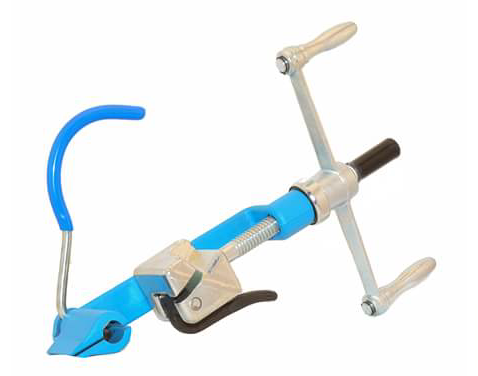 Blue epoxy coating makes the tool virtually impervious to impact, chemicals and corrosion. The tool's spring loaded gripper allows for easy tensioning. Built in cutter prevents the need for a secondary tool to trim the banding after installation.